What’s an effective way to learn new skills? Teach it. 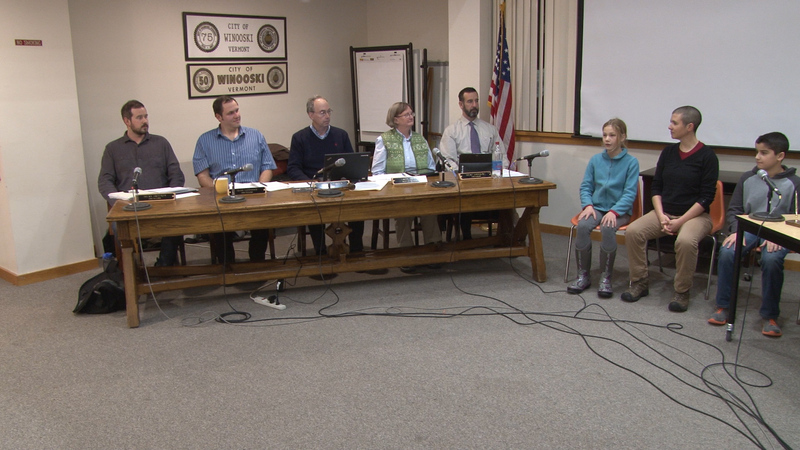 Several educators across Vermont are empowering their students to learn mindfulness through leading, not just in their classrooms, but throughout the community. Jerry Cassels, a guidance counselor at Northfield Middle High School completed the 9-week Modmind exercises with his students. Their mindfulness education continued as he taught them how to lead mindfulness using the Modmind teacher training videos . The students took this training into the community where they led mindfulness practice at the senior center and local elementary school. After using the 9-week program, Nan Johnson, a teacher at JFK Elementary in Winooski, VT, invited her students to be “the voice of Modmind.” She broke the mindfulness lesson up into 4-parts: The Breathing Part (“breathe in and straighten up, breathe out and settle in”), The Talking Part (leading the technique), The Chimes (to begin and end the practice) and the Mindful Message. Nan draws a popsicle stick and asks the students which part they’d like to do; that way students can participate at the level they feel comfortable. “I couldn’t believe what they came up with when they were leading the exercises! It was amazing,” she said. Sharing leadership can be simple. Invite students at the start of a class, during a transition or anytime throughout the day to lead a simple guidance: “Breathe in and straighten up, breathe out and settle in.” Simple and easy. This starts the class with a short practice of relaxation and focus and gives the students an opportunity to put their practice into action. Invite them to share it with family members or friends and have a discussion about what it was like to lead. What did they notice? Like Nan Johnson discovered from her class, our students are filled with wisdom and eager to express it when they’re given the opportunity. Modern Mindfulness © 2015 All Rights Reserved.